If you want to fatten your Dubias or have limited food resources, feed them this baby food flavor! They will swarm over it I use it for my colony with excellent results. Alternate with fresh fruits, vegetables, and pet kibble for best results. I give them the sweet potato and chicken flavor, they love that stuff! Mine like those too but orange is there favorite! Unfortunately, my nymphs would probably drown in it as some of them did in yogurt. Thanks for the suggestion, though. I have a solution to that! 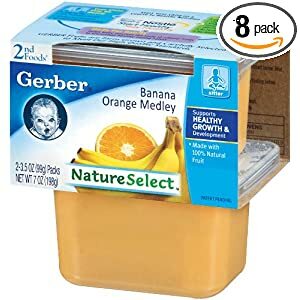 Get a piece of white bread, or a whole slice, and spread the baby food over the bread like you would peanuts butter or jelly. This way they don't drown, and they eat baby food as well as bread so a big meal for them! You are absolutly right about the dog food and cat food. high amounts of protien canbe deadly to dubia roaches and also prevent reproduction. I have many sources to back this theory up as well as several home studies i have conducted myself. The idea of roaches needing a high diet of protien is only based of assumtion there are no facts to back it up. remember i am only referencing B dubia in my statements. wile this study was done on B.Dubia im sure it would hold true for the majority of roach species. his studies show the same thing higher protein diets on not good for roaches actually can be fatal and even further they could potentially be hazardous to feed to your animals. Ive been using a Chow made mainly from Alfalfa, Wheat Bran and Oat Bran. I add to that some potato, soy, hemp seed, flax seed. dried fruits and kelp. Just curious, what do you guys recommend on how much protein? Any specific percentage? Off the top of my head, I think Rapashey came up with 10-12% max, or whatever is in his current formula of Bug Burger. I have all my roaches on a grain based dry food mix, which some ingredients of are around 18% protein themselves but being that this is plant matter it may affect availability of that protein to some extent. Mine only get small amounts of cat food as treats. With dry food, they're more interested in the fat and powder(flavoring + vitamin) coating, anyways. Yes, my older smaller orange head males have some wing bites but I highly doubt protein has anything to do with this.